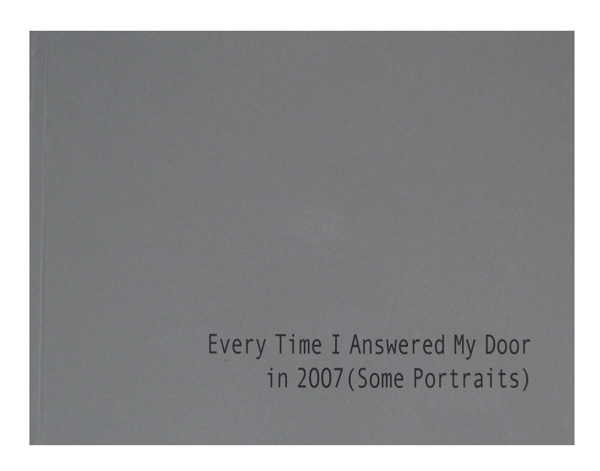 For the entire year of 2007 I took a photograph of whoever was at my door every time I answered the doorbell. Among the resulting 119 portraits are UPS, FedEx and other delivery people, solicitors, Jehovah Witnesses, plumbers, real estate agents, a boy scout, and numerous friends and neighbors. Hardbound, 8.5” x11”, 106 pages, 99 images. Printed by the artist.